YOUR DREAM HOUSE IS ON THE MARKET!!! Your own mini estate with separate 3 car garage and additional space above the garage for work room, office etc. The main house has it all with large rooms, flexible floor plan,open concept and loads of sun light that streams throughout. Beautiful custom kitchen with island, upscale appliances and dining area that overlooks water fall, gunite pool and picturesque 2.49 acres. Enjoy your spacious cathedral ceiling family room, with sliders leading to wrap around deck and walls of glass bringing the outdoors in. Formal dining room, additional play room, sunroom with hot tub add to the many extras on the first level. Sunroom has skylights, and a potting sink. Second level has 3 spacious bedrooms including exquisite master bedroom with its own fireplace, custom bar, interior and exterior balcony. Flexible floor plan allows for master on first floor or great space for extended family. 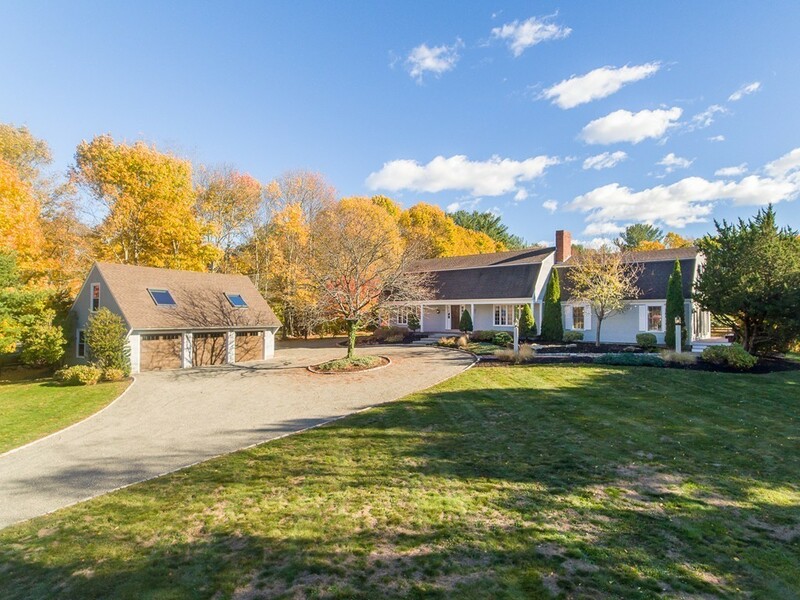 Private setting but easy access to town and commuter rail. hot tub has not been used recently.